Other Nyitting stories and oral histories demonstrate the importance of the coast, the sea and the islands to the local Whadjuk people. The story “When the sea level rose” 1 as told by Dr Noel Nannup, a Nyungar storyteller, demonstrates the Nyungar people’s long standing relationship with their changing coastline. "When the sea level rose” is the story of Nyingarn, the echidna and Kaarda, the goanna, who were given the special role of representing the spirit of those who passed on, and the story of Mamong, the whale and Kieler, the dolphin and the special role they were given in country. The main focus of this story centres around when the sea level rose and trapped the spirits of children underneath the sea, and the role that Mamong and Kieler played to help bring the spirits back to the land. When the sea levels rose 10 000 years ago, many spirits were trapped under the sea. The only way these spirits can return to the land is through the whales. It is said that whenever a whale calf is born, one of these spirits attaches itself to the whale calf. 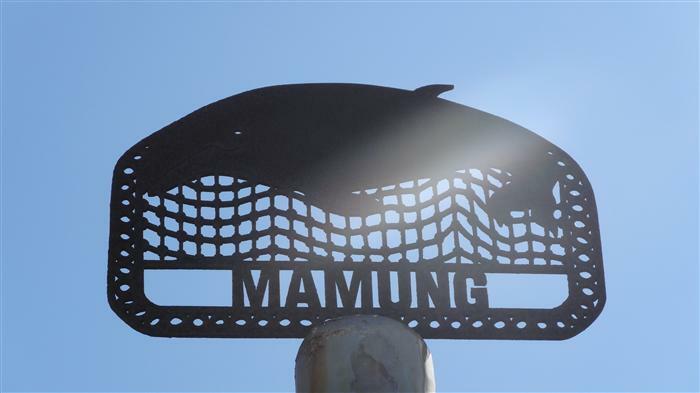 After 80 or 90 years swimming around the ocean, Mamong returns to this coast. Mamong the whale beaches itself to return the spirit being carried by the whale back into the land where it belongs. See a graphic of the sea level rise here. 2. Interpretive Signage, Rottnest Island.